Find the will to make a will this week. Do you even have a will? 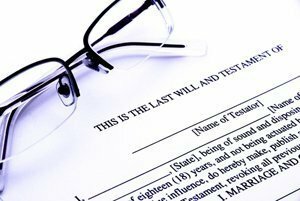 According to one statistic, 65% of the U.S. population doesn’t have a will. Although Stats Can hasn’t provided us with a Canadian statistic, it is likely similar. Regardless of the precise figure, the unfortunate reality is that far too many people don’t have a will and as a result, their families are not protected. And since I’m writing to you as an individual, it really doesn’t matter about the other fellow. Not for you, not for your spouse, not for your family. The simple truth is that you need a will. If a will is so important, why don’t we do it? But it’s been sliding for a long time, hasn’t it? While we all want to stay around for many more years, and I hope you do, to say that everyone’s time comes at some point isn’t exactly a state secret: case in point – Steve Jobs. (I’m sure he had a will, however.) Most of us don’t know when our time will arrive, unless, like Mr. Jobs, we’ve been diagnosed. Since we can’t wait until the very week before, and since we don’t know when that week will come anyway, the week to make a will is naturally, this week, not next week. Next week you’ll find another reason not to make a will. All you need to do is to pick up your phone and call me at Howard Nightingale Professional Corporation, 416 633 4423 (toll free 1 -877-224-8225). Just make an appointment. Don’t worry about the other stuff. Do this and you’re half way there. As a bonus, I’ll bet that when you hang up, you’ll feel a sense of relief.